They guard. They herd. One even weeds. Meet the nine hardworking canine companions - and their humans - who wagged their way into our hearts. 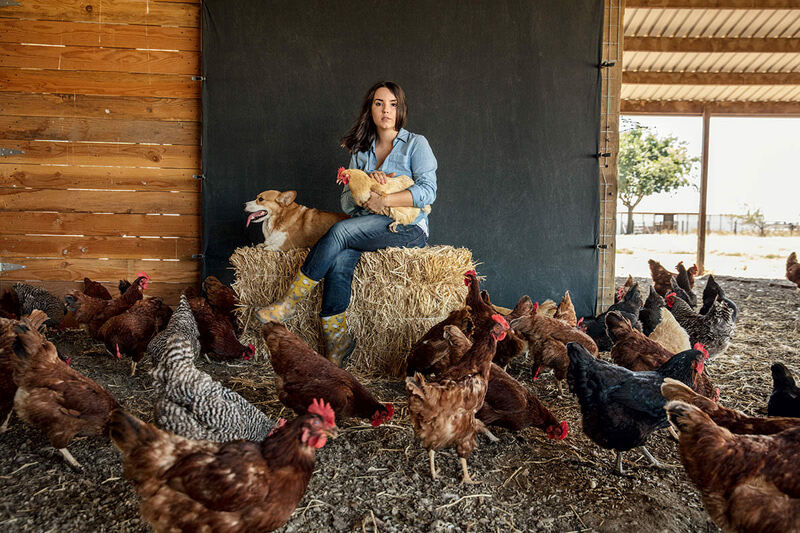 Anjelica Locke relies on her Pembroke Welsh Corgi, Winston, to chase down runaway chickens on her California farm. This kind of rare interspecies bond can be traced back millennia to the moment when the first curious wolf started slinking around a human camp, intuiting that a semi-friendly stance might garner more food scraps than bared teeth. From the get-go, our ancestors shared certain commonalities with canines (both were carnivores who hunted in groups by daylight) that eventually developed into a completely codependent relationship. It’s safe to say that agriculture – hell, civilization – wouldn’t exist without dogs. They helped us figure out how to domesticate, herd, and protect large numbers of livestock. Over time, we bred Canis lupus familiaris to bring forth characteristics suited to specific tasks. The Dachshund’s long, low body lends itself to dispatching tunneling prey, such as badgers and moles. Massive Maremma Sheepdogs and Great Pyrenees guard vulnerable sheep and goats against attack. Collies, corgis, and shepherds live to corral, well, everything. Miklis might beg to differ. Ditto the other fine folks featured here, plus nearly 150 others who responded to our social media request for farm dogs worth profiling. These people hounded us, shall we say, sending in photos and tributes, each attesting to the superiority of a certain four-legged friend. And therein lies the undeniable truth about these canny creatures, capable of connecting with humans on a deeply personal level: The best dog ever is the one curled up nearby as you read this. Don’t see your favorite breed, or mutt, on these pages? Then make sure it appears on our Instagram feed! 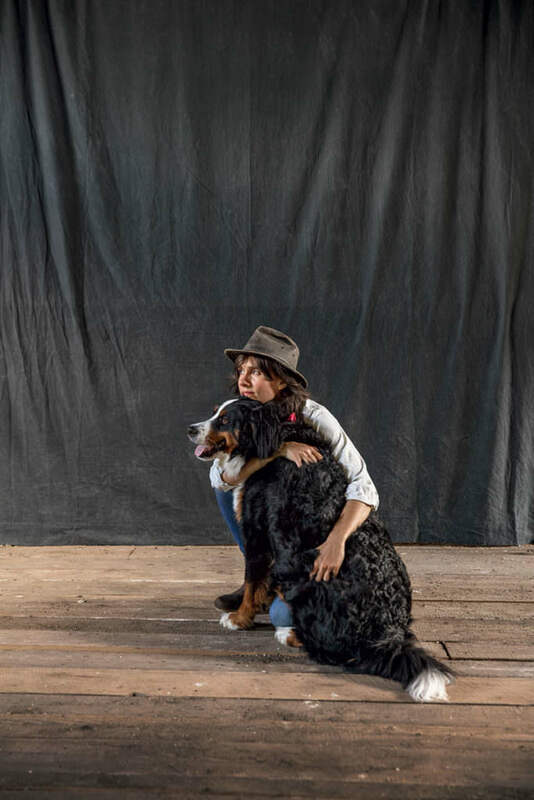 Use #IAmAModernFarmDog when posting pics of your pooch. Last year, the couple began hearing coyotes at night, just as a dog-breeding neighbor offered up a Great Pyrenees puppy. They gave her a mythical name with an obscure spelling. “The goats despised Gwynavyr initially and plotted her demise,” says Snelling. Before long, however, the two species managed to develop a shared language. Now 19 months old, Gwynavyr stations herself at the barn door, between the herd and the larger world, and nudges kids toward their mothers. 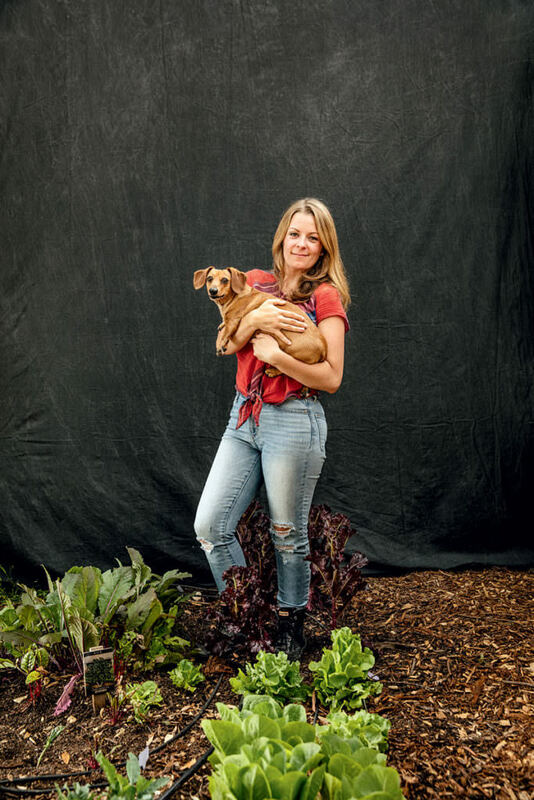 When Lisa Brosnan’s career as an urban planner took her from Nevada to the Pacific Northwest, she figured she might as well make the most of the region’s wet, gloomy climate by doing a little truffle hunting on the side. 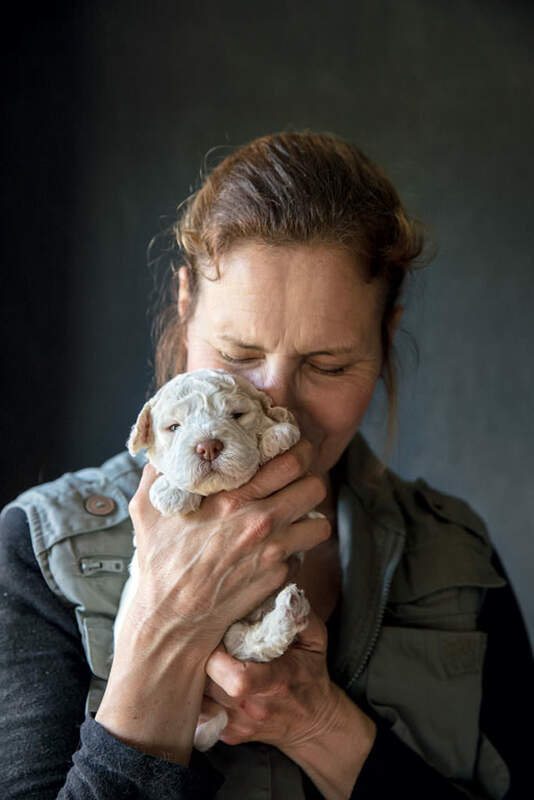 Five years later, that decision has given rise to Red, the adorable fur ball above, recently born to Brosnan’s beloved Lagotto Romagnolo Sophia, whose father served as the breed’s standard-bearer for the American Kennel Club. “They started out as water retrievers in northern Italy,” Brosnan explains. “But after the region’s marshes were drained to create farmland in the 1800s, the animals lost their purpose.” Though Lagottos still boast webbed feet, it’s the dogs’ keen sense of smell that eventually earned the breed its keep – sniffing out truffles, as well as bombs, drugs, and bedbugs. Don’t let that hard-boiled cowboy persona fool you. 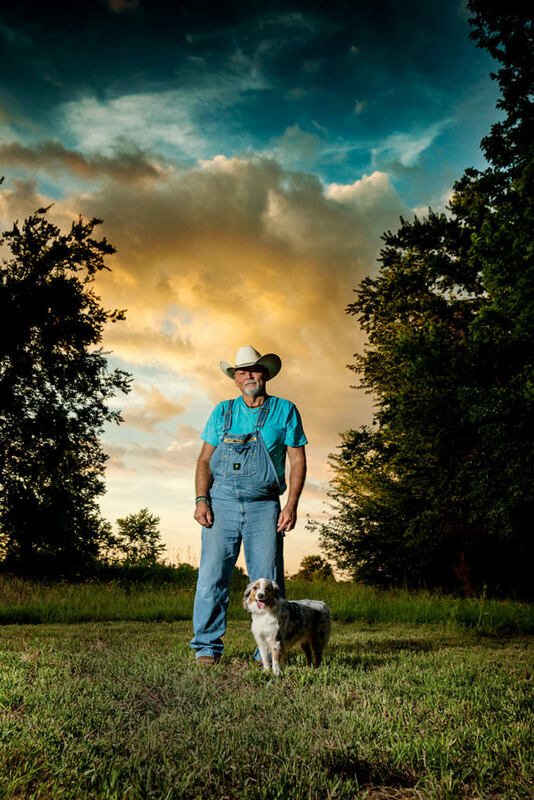 Instead of roping cattle, Stan Miklis cossets potted organic herbs and flowers on his 100 Texas acres. 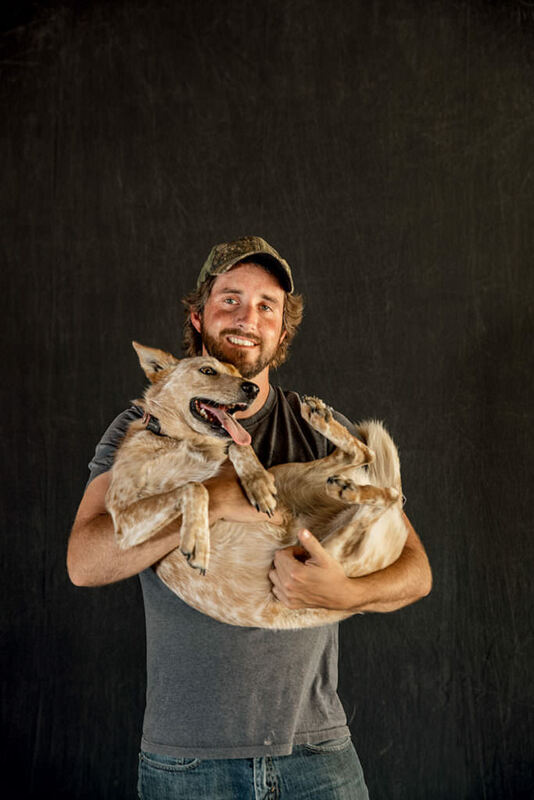 As for the miniature Australian Shepherd by his side, the only things that little lady herds are customers and their pocketbooks – straight to Miklis’ booths at five weekly Dallas-area farmers markets. Nobody at the American Kennel Club gives a hoot about the color of a Border Collie’s coat. And in performance competitions, broken teeth and grisly scars incurred in the line of duty don’t affect the dogs’ scores a bit. 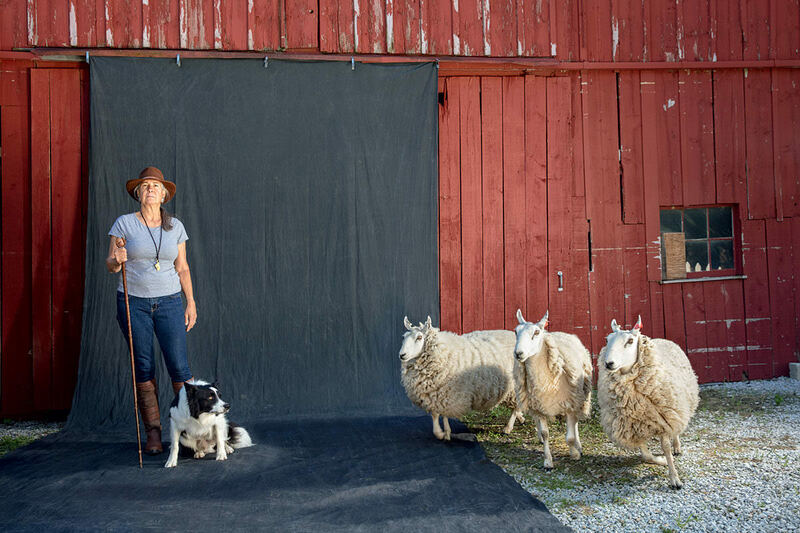 Since selling her 21-acre Kentucky farm in May, Brannen has been crisscrossing the country with Boz to participate in sheepdog trials. He excels at maneuvers that involve steering a flock into a variety of configurations without making a ruckus or causing the livestock distress. And he’s up against some pretty stiff competition. Border Collies are often cited as the most intelligent dog breed (a 12-year-old called Chaser in Spartanburg, South Carolina, boasts a vocabulary of over 1,000 words). Jess Ludwicki and her fiancé, Steve Jewett, harbor big dreams for their 32 acres in upstate New York. 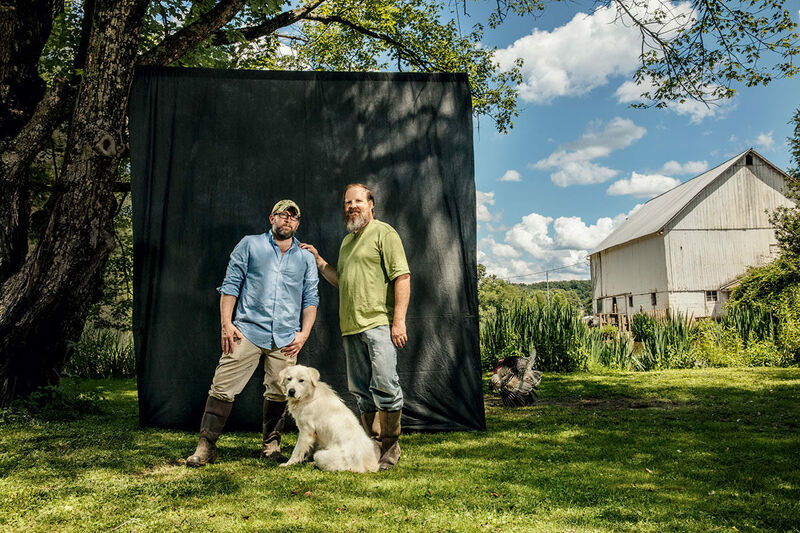 “The fantasy is that we’ll have a U-pick operation with hundreds of apple, peach, pear, and cherry trees, a stand selling eggs and produce, and possibly Airstreams kitted out for farm-stay guests,” Ludwicki says. Unfortunately, Daisy exhibited early signs of the hip dysplasia that sometimes affliicts these gentle giants, so she had to scale back. Way back. Today, the 3-year-old ferries clippers and water bottles in a canvas backpack tied around her waist and hunts pesky voles, whose gnawing can easily wipe out an orchard’s worth of rootstock. Jeremy Duckett and Lailand Oberschulte always root for the underdog. Every heritage hog, hen, and turkey on their Napa Valley farm has been deemed endangered or at risk by The Livestock Conservancy. So, two years ago, after seeing a Facebook post about a heeler mix who’d been dumped from a moving car, the couple didn’t hesitate to adopt her. When Duckett and Oberschulte had a DNA test done on Ally Mai, they learned that she’s a mix of Red Heeler and Whippet. 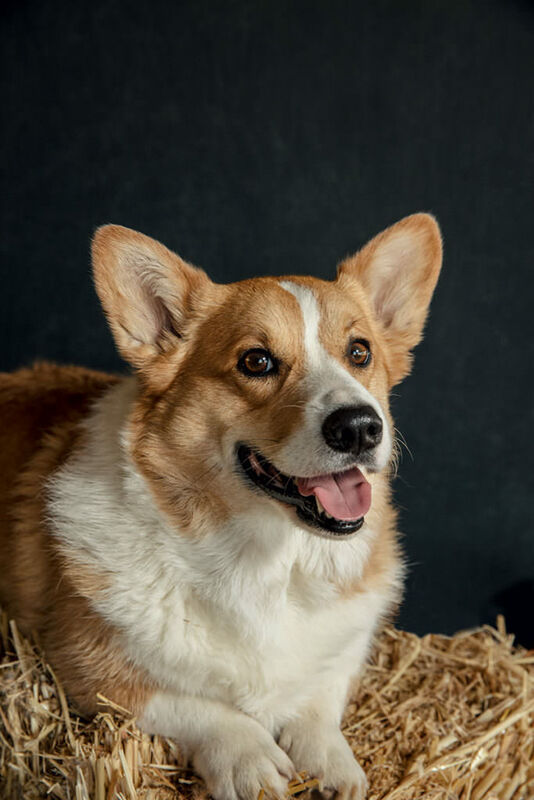 The former, born to herd, originated in Australia; they tend to be affectionate, high-energy dogs that weigh about 40 pounds and live approximately 14 years. Whippets, natural vermin hunters, hail from Great Britain; calm and playful, they can reach between 25 and 40 pounds and 12 to 15 years of age. There are no health issues particular to either breed. !